Women & Philanthropy, the ASU Foundation-based program that brings together donors who vote on programs they will fund at the university, announced today three ASU projects to receive its 2016–2017 grants. “Cancer kills more than a half a million people every year,” said Rona Kasen, volunteer co-chair of Women & Philanthropy. “Women & Philanthropy members are pleased to support the work of groundbreaking researchers in ASU Biodesign who are developing such promising anti-cancer therapies. As we do every year with our funding, our members support ASU research and programs that will make real headway against persistent societal problems. Women & Philanthropy is one of three volunteer engagement programs of the ASU Foundation. Its approximately 250 members pool their annual individual contributions — a minimum of $1,000 — and then vote on ASU programs to support. Since its founding in 2003, Women & Philanthropy has contributed $3.4 million to 83 ASU programs. • The ASU Biodesign Institute’s Center for Infectious Diseases and Vaccinology “Anti-Cancer Viral Therapy” study. According to the study, new strategies are offering hope to patients whose cancer resists chemotherapy. In particular, the center has developed mutants of the virus used to vaccinate against smallpox that do not harm healthy cells, but that kill many types of cancer. 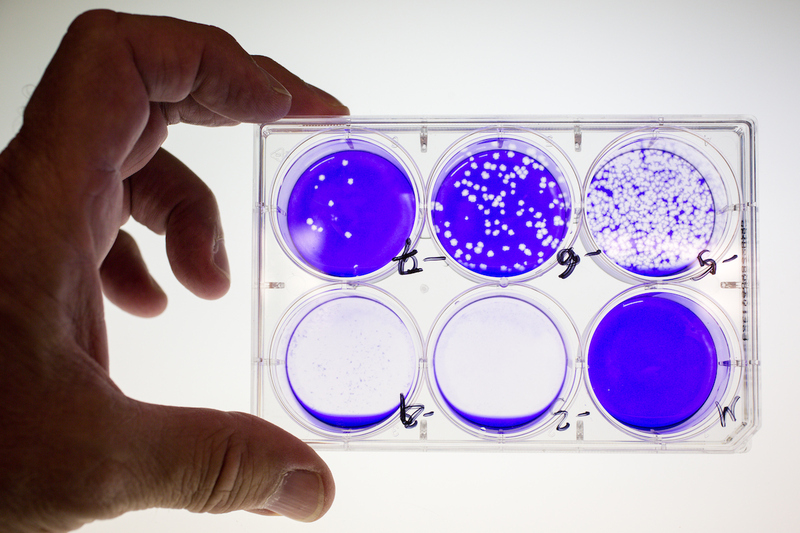 Center researchers have begun to understand why mutant cells kill cancer; this funding will allow them to explore viral anti-cancer therapies. • The ASU Biodesign Institute’s Center for Infectious Diseases and Vaccinology “Natural Botanical-Based Therapy for Cervical Cancer” study. Previous work identified a carnivorous plant that unleashes anti-viral activity against the Human papillomaviruses, or HPV, a common virus spread through sexual contact that is often leads to cervical cancer, the fourth most frequent cause of cancer in women. Women & Philanthropy funding will allow researchers to define the specific mechanism animating the botanical, evaluate it against more cervical cancer lines, understand other potential uses, and identify side effects. Arizona imprisons 43,000 individuals — 95 percent of whom will return to their communities. They are parents to an estimated 53,000 children, researchers say, pointing to the need support families impacted by incarceration. This funding will enable the program to offer two more courses next year and document the impact of the program. All Women & Philanthropy funding contributes to the success of Campaign ASU 2020, the ASU community’s comprehensive campaign to raise at least $1.5 billion to support students, faculty, discovery and creativity, community partnerships, and Sun Devil competitiveness. Learn more at GiveTo.ASU.edu. For more information, contact Lexi Killoren, senior director of engagement programs for the ASU Foundation, at 480-965-0878 or lexi.killoren@asu.edu. The ASU Meeting, Event Coordinator and Associates (MECA) group will be hosting the annual Event Vendor Showcase from 10 a.m. to 2 p.m. on Wednesday, May 17 in the Sun Devil Fitness Complex on the Tempe campus. The showcase is open to all ASU employees. Bring business cards for the networking and an appetite for the food samples. 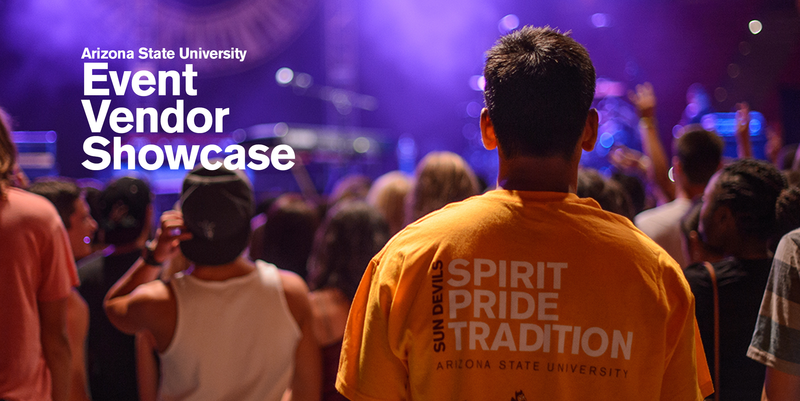 To RSVP, go to https://asuvendorshowcase.eventbrite.com.